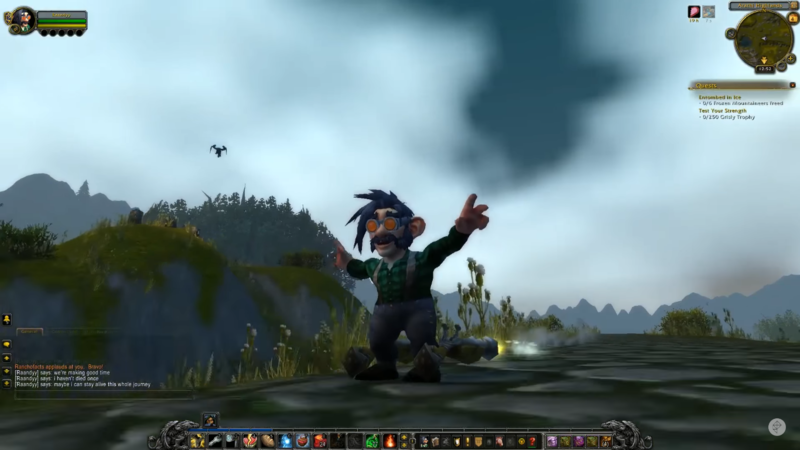 Griffin McElroy’s Peacecraft series saw our sweet gnome friend Raandyy set out on a quest to end the fighting in World of Warcraft. In the process, it reminded us what YouTube’s gaming segment – and games culture as a whole – ought to be. Here is a secret: the part of my bio at the bottom of this post that says that I “love… and being constantly surprised by just how weird and wonderful games can be” is in part inspired by Polygon’s many video series. More broadly, I’m enraptured by the ways in which people approach games in new ways in order to rebuild them as something different. Repurposing games in this way has become an entertainment industry and culture of its own. Gaming videos are as much a part of games culture as games are themselves. Vibrant communities have sprung up around speedruns, pacifist challenges, achievement collecting, and of course, lets plays. “Games personalities” are far more likely to be YouTubers or Twitch streamers with huge followings than game developers. Unfortunately, these communities and personalities often contribute heavily to the worst parts of games culture. Let’s not rehash the recent racism of Pewdiepie and JonTron, but instead remember the deep rot that they revealed at the heart of YouTube’s gaming section. It was always there, certainly, but once brought into the open it was starkly apparent everywhere from ever more vitriolic comments sections to the many other Youtubers defending behaviour that ought to be indefensible. Peacecraft was a balm that I didn’t know I needed; a reminder of what is good about games and so much of what surrounds them. In the beginning, it was simply an attempt to explore World of Warcraft’s Azeroth without killing anything. Yet it grew into a ten-part epic about the power of love, cooperation, and thinking outside the box. Our hero Raandyy started out a lonely rogue, immediately tossing out his daggers and being left only with the clothes on his back and no friend who could lend him 10 coppers to learn to pick flowers. He ended a hero whom Sylvanas Windrunner, queen of Warcraft* wouldn’t touch, surrounded by a guild – a family – 350 strong. I fell in love with Peacecraft at episode four, which Griffin described as the series becoming “interactive art about the power of human generosity.” There is no more apt description. Raandyy’s journey quickly became built around the guild of often pun-named characters (lead, for example, by Maandyy) that sprung up to support his adventure: Raandyy’s Faandies. 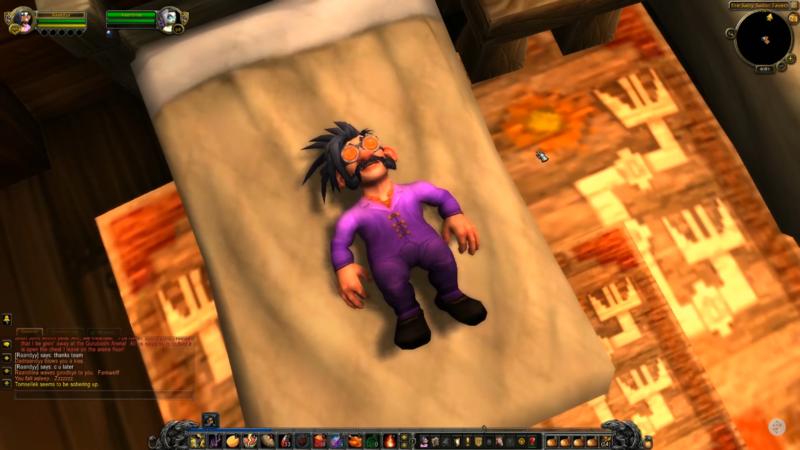 Though they escorted him into enemy territory and ultimately facilitated his quest to share his love with Sylvanas, their kindness is best demonstrated in how rich Raandyy became: positively weighed down with swiftness potions, vegan food, and enough money to give the first player who lent him 8 copper 66,000 gold in return. 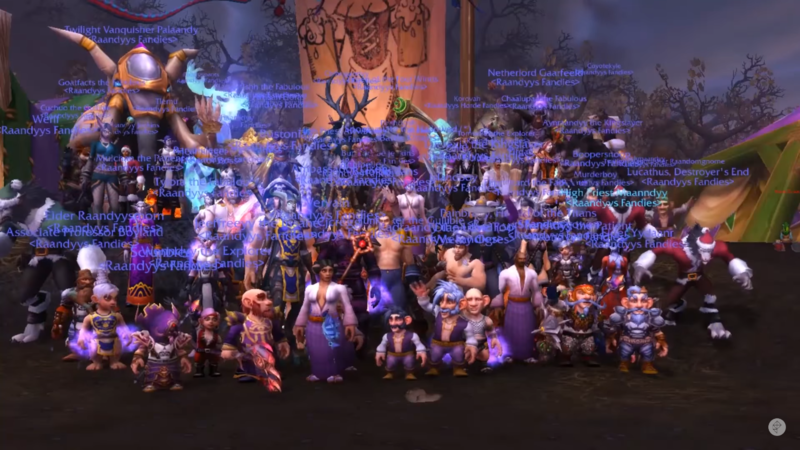 Though Raandyy’s journeys have come to an end, the Faandies continue to be a “sweet and progressive” guild open to all players; a very real group of people brought together as friends by this series. And, now united, they will continue to spread Raandyy’s message of peace and love across Azeroth for a long time to come. Despite not being a Warcraft player myself, I found Peacecraft changing how I was playing other games. Raandyy, free from the distraction of killing, focused on smaller touches that bring the game to life but are so often overlooked. Deer, moths, flowers, rainbows, games of catch, picnics, and plenty of kisses all took centre stage, and I wanted to seek out these same kinds of details wherever I was. 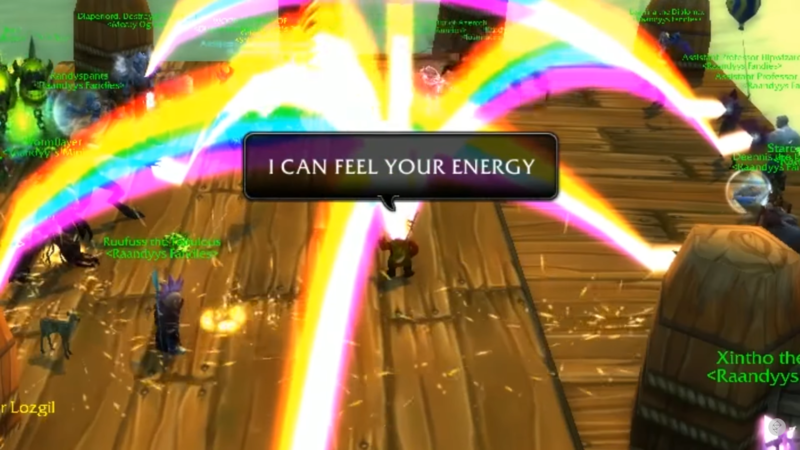 Plus, by highlighting these flourishes, Peacecraft encouraged a more laid back approach to both games and life, particularly during the brief interlude where Raandyy’s brother, Dr. Pete Loomis, stepped in to give Raandyy a break to collect his thoughts. 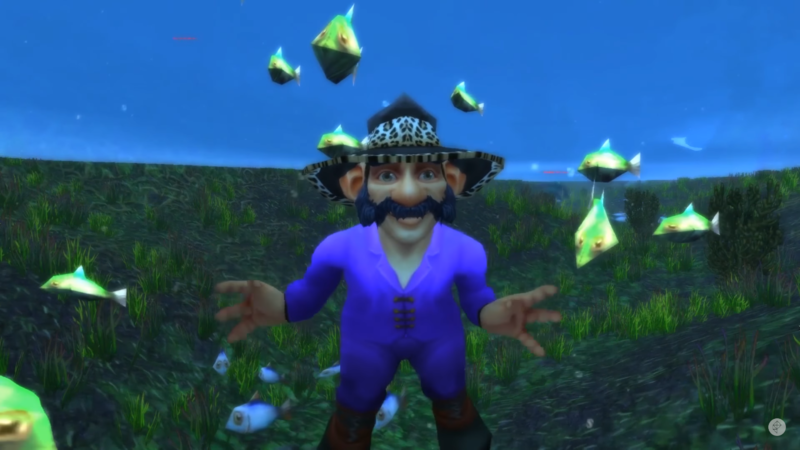 Without the heavy weight of Raandyy’s fame, Dr. Pete could demonstrate the benefits of taking a moment to sit quietly and experience nature. Peacecraft might be over now, but Raandyy will live on in the archives of YouTube, along with the lessons he taught and the friendships he created between real people. And his demonstration that games culture can be transformative, funny, and engaging without being, you know, intensely racist will always be a cleansing balance to bad news coming out of other communities. If you haven’t seen the series, please give it a try, and if you have, try to take some of Raandyy’s (and Dr. Pete Loomis’s) lessons to heart as you move through gaming communities. We all know they need them. Previous articleHow Can Overwatch Deal With its Toxic Players?